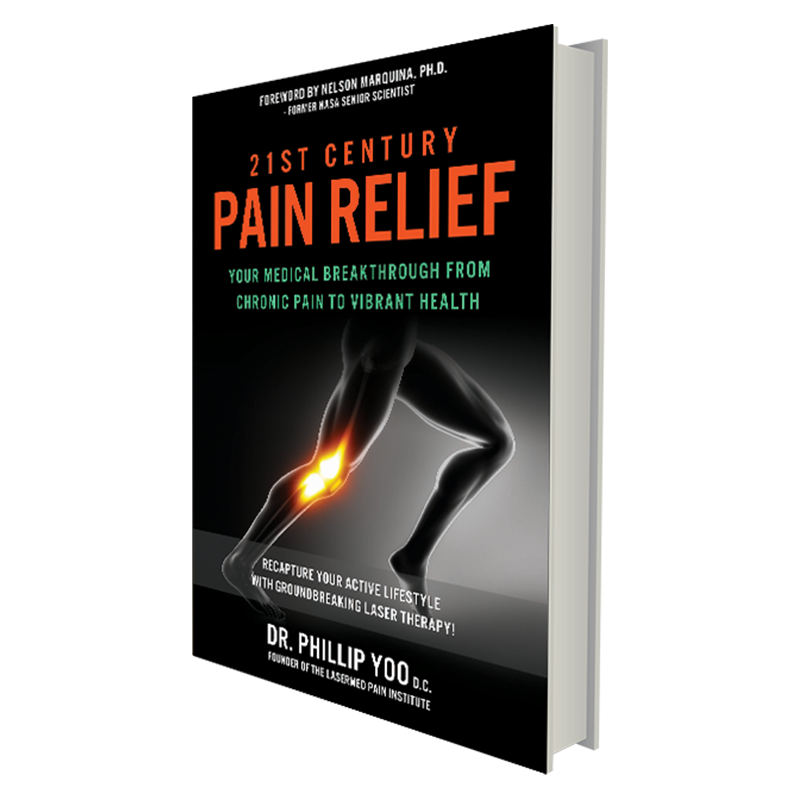 By Dr. Phillip Yoo, D.C.
Dr. Phillip Yoo D.C. explores the causes of chronic arthritic conditions like knee and joint pain. Then, he shares his journey to uncover ground-breaking treatments that help patients avoid addictive pain killers, painful injections and life-threatening surgeries. This book unveils how you can recapture your active lifestyle with ground-breaking laser knee therapy. Take a deep dive into the causes of nerve disorders like neuropathy, fibromyalgia, sciatica and neuralgia, and discover why you no longer have to live with the crippling pain of these disorders. Dr. Yoo D.C. unveils how his own experience with chronic pain led him to uncover ground-breaking treatments that help patients avoid addictive pain killers, painful injections and life-threatening surgeries. This book unveils how you can recapture your active lifestyle with ground-breaking laser therapy. Are you ready to get your life back with pain-free living? 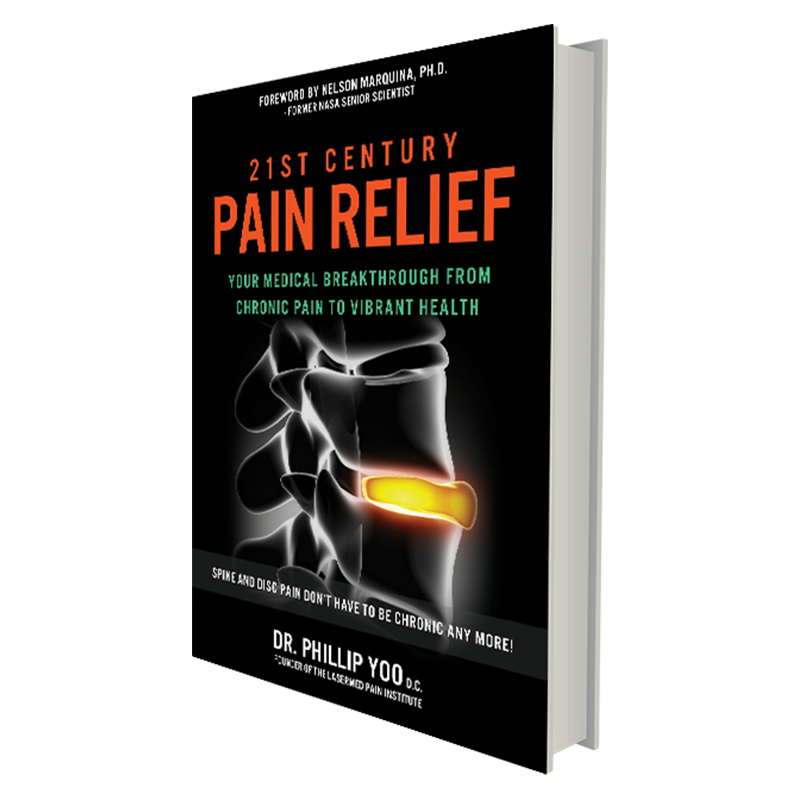 Dr. Phillip Yoo D.C. explores the causes of back, spine and disc pain and how traditional medicine often fails to get to the root cause and provide long-lasting healing. He unveils the pain treatments of the future, here today, that are helping people like you once again enjoy activities without pain—no surgery, injections or pills required! 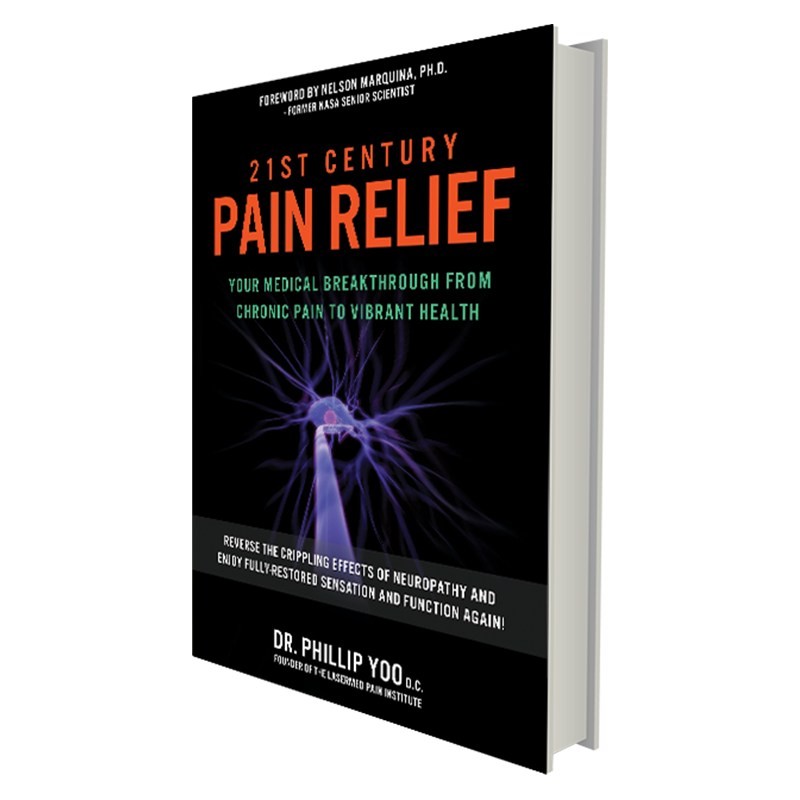 Be one of the first 17 callers this month to schedule your consultation for only $97 (normally $275) and you’ll receive your free copy of Dr. Yoo D.C.’s book, 21st Century Pain Relief. Call 714-636-2741 in Orange County or 760-537-4929 in the Desert and mention WEB 97 + Book.